« Have faith in your own reason! Be your own god!! Aham Brahmasmi!!! This entry was posted on	June 23, 2011 at 7:26 am	and is filed under cycling, education, environment, nature. Really a good example to follow. Cycling is cheaper, energy saving, time saving in Mumbai at least, healthier, both physical and mental. I think I started liking and respecting you more than before when I liked you for your love for Software Freedom. Great! Wish you a lot of Happy Cycling! I think cycling also gives a feeling of Freedom, which is similar to what we get when using Free Software. Your are right! We feel the spirit of freedom while riding a bicycle. But would you be in a mess once you reach office after all the cycling? I love to cycle, but can’t find myself to even think about cycling to work. Don’t you think Mumbai is too hot and humid (even when its not summer) to cycle? Well, indeed! the T and shorts will be soaked in sweat. No issues! I take a shower after reaching office, and if I ran through muddy waters in the rain I give the cycle also a shower before parking. It gives me the much needed physical exercise. At the end I am happy! Do you generally use the roads while cycling or the pavements? Or have they put up cycling tracks in parts of your route? I use the roads, usually the left side of it. Not a single road in Mumbai has a cycle track. Unless the number of people who cycle increase, even if we demand they are not going to hear. Hope more people join on the roads, then hopefully in the near future we will have cycle tracks. Posted two new blogs on http://cyclists.in/ portal. did you lose any weight? i want to take up cycling for loosing weight !! Yes. Of course! However, I wasn’t over weight in the first place. The slight loss of weight is only due to increased physical effort. 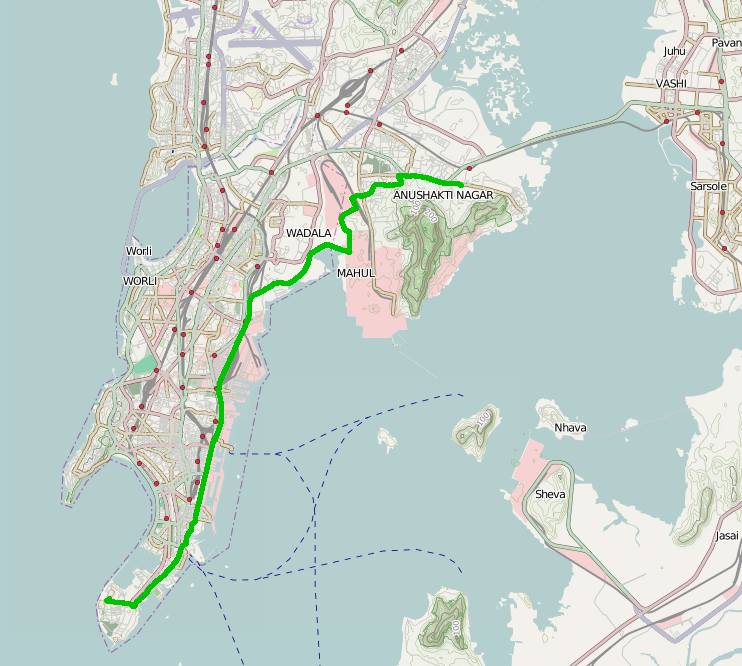 Hello Nagarjun, I stumbled upon your blog whilst searching for average cycle speed in Mumbai. The reason I was doing this is because I am serious considering using cycle for my daily office commute (Dahisar E to Hiranandani Powai, about 22 kms). Are you still using your cycle for the daily office commute? Did you have any serious (or even not so serious) injuries because of cycling? By this I do not mean injuries by accident. I mean injuries because of the daily strain of riding. Or au contraire you are feeling happy and strong because of the daily workout?